Literally never struggle with a jar again. At risk of sounding exactly like an infomercial, I have to ask: do you regularly find yourself struggling to open jars? I mean specifically the kind that feel like they're sealed with the most powerful super glue known to man and shut with a dash of some kind of impenetrable dark magic? Maybe you end up passing it around your family, each person struggling a little bit at a time to gradually loosen the lid's tenacious grip until it finally unseals — leaving everyone's hands more than a little sore. Or maybe you live alone, and just have to make it happen yourself, taking breaks now and then. Or maybe you have arthritis or another condition that makes opening jars painful basically impossible (or know someone who does). 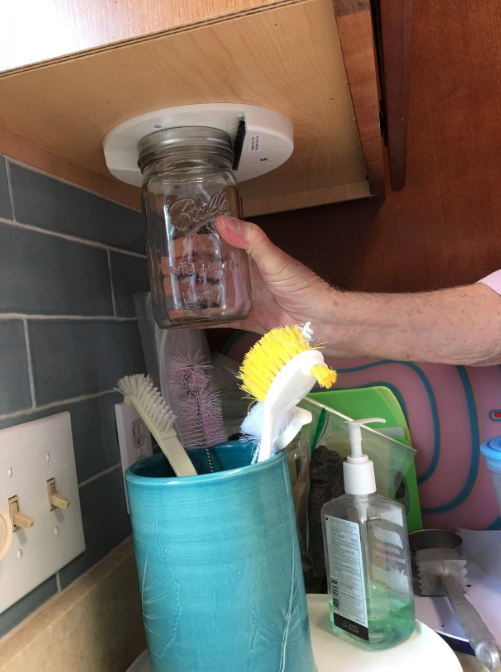 Well I have news for you, my jam-and-pickle-loving friends: this genius under-cabinet jar opener will solve ALL of these woes for you in return for no more than 10 minutes of installation time. Bonus: it's easy to install. You simply figure out where you want it to go (this reviewer has some interesting thoughts on what way to make it face), stick it up with the included foam tape to hold it steady, then screw it in. And voila! You're on your way to opening all sorts and sizes of twist-off lids, from basic jars to push-and-twist medicine bottles to growlers to water, soda, and even beer bottles. This is from its actual infomercial, so I'm sure it's not exactly as flawless as it looks here, but you get the concept. And if you're worried about it protruding from underneath your cabinets and messing with your ~aesthetic~... don't! It's a discreet one-inch high, so as long as the face of your cabinets drops a little further than that in the front, you won't see it unless you need it. Of course, the reviewers rave about this ingenious invention. 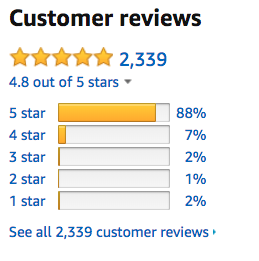 It boasts a rare 4.8 stars on Amazon with over 2,200 positive ratings because it just plain works. Promising reviews: "You will be amazed! You will, like I did, want to open every jar in your fridge just for the fun of it! No more running hot water over the maple syrup bottle to get the lid off! I'm adding one to my garage so I don't have to run into the house to open fertilizers and the dreaded pool chemical jars. So when you're ready to swear off your jar-opening struggles forever (or just want to send a gift to someone you care about who has arthritis), get one on Amazon for $15.99. And yes, it even works on water and soda bottles, if you need the help there, too.